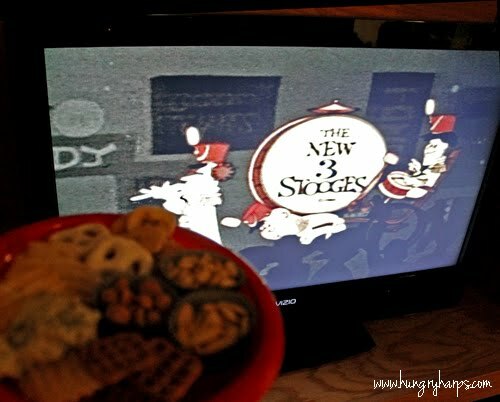 We recently hosted a The Three Stooges-Movie Night, complete with our very own "Speedy Service Drive-In". 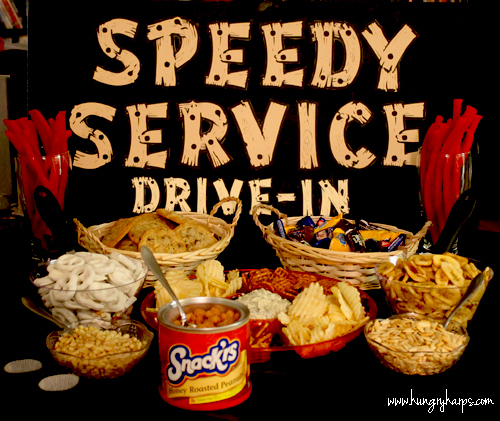 The "Speedy Service Drive-In" was featured in the episode, Get That Snack Shack Off The Track, and I thought it made the perfect addition to our evening. To fill up our concession stand we headed to Smart & Final for their Snack'rs products. There are 2 reasons that I am sold on the Snack'rs brand, 1) most of the bags are resealable and 2)their outstanding quality that is backed by a guarantee. We had previously tried Snack'rs Pumpkin Seeds and Trail Mixes and thought they were really good - so we wanted to check out what other products they carried. There were A LOT of items to choose from, but we finally came away with Roasted & Salted Pumpkin Seeds, Yogurt Covered Pretzels, Banana Chips, Waffle Pretzels, Pine Nuts, Wavy Potato Chips and Honey Roasted Peanuts (not pictured below). 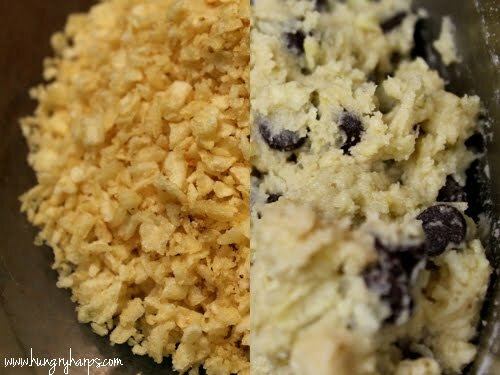 These cookies are the perfect dessert for someone who likes the combination of sweet and salty! 2. Combine flour and baking soda, set aside. 3. Cream butter and sugars together until light and fluffy. 4. Add eggs, 1 at a time, until mixture is smooth. 5. Slowly add flour to wet mixture until fully combined. 6. 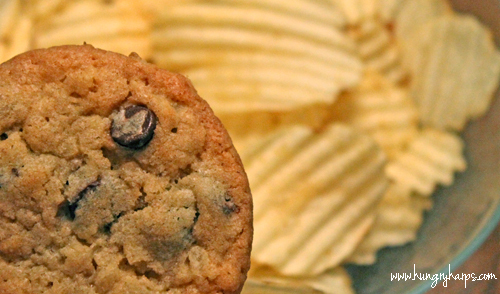 Fold in Snack’rs Wavy Potato Chips and chocolate chips. 7. Drop by rounded tablespoonful onto an ungreased baking sheet, 2” apart. Bake for 10 minutes or until golden brown. 8. Allow to cool before enjoying. 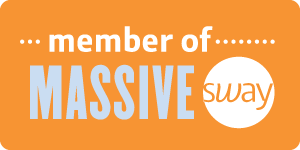 Smart & Final is currently running a promotion with their Snack'rs products; if you purchase two participating Snack'rs items you will be given a code on your receipt that can be redeemed for a FREE movie ticket! 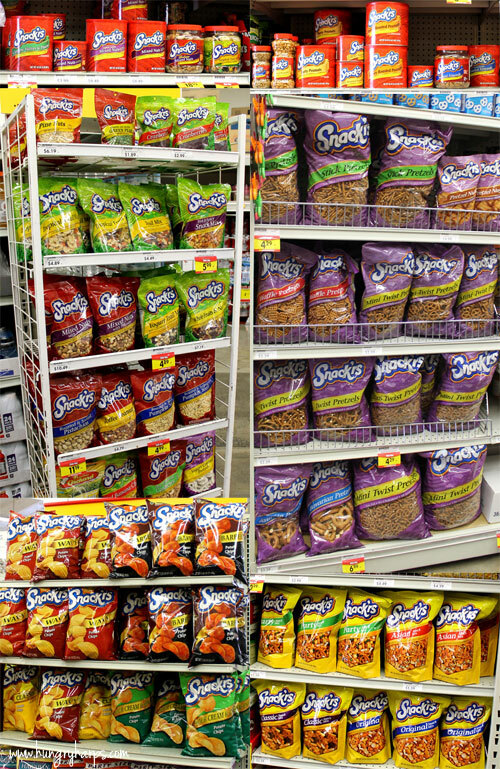 Here are all the Snack'rs products from our local Smart & Final - there is still so much to try! 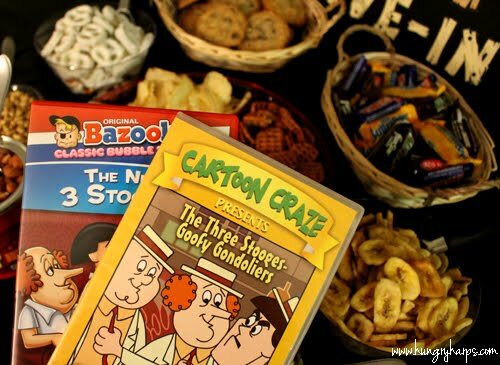 Our movie night was a hit - filled with laughter and good snacks. 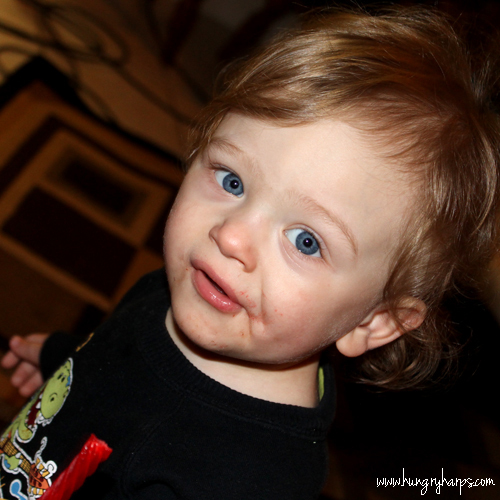 It was also fun introducing our kiddos to The Three Stooges movies, our toddler thought they were so silly. Tip: If serving nuts for a group, small cupcake liners make the perfect small dishes for easy serving. Salty & sweet is the BEST! I haven't tried potato chip cookies before, but we are addicted to chocolate covered potato chips. Sounds horrible, but soooooo good! I think my eyes bugged out of my head a little when I read "potato chip/chocolate chip" together when talking about cookies!!! I am definitely a salty/sweet person. This treat sounds perfect! Awesome... I still have a bag of Snack'rs Potato Chips - might just have to make some cookies today.